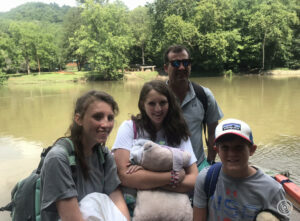 Alum Natalie Litz Bissonnette tells of the recurring joys of Family Camp at Camp Alleghany for Girls with her own family’s story of Summer 2016! We’ve moved rocks and power washed tents, we’ve put down gravel and sanitized the whole place. There’s still some mud, but has mud ever stopped a ‘Ghany Girl? Read all about our clean-up efforts int eh wake of the 2016 Flood. 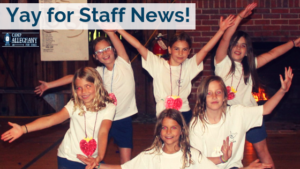 Alum Francie Webb writes on how connected ‘Ghany Girls are! 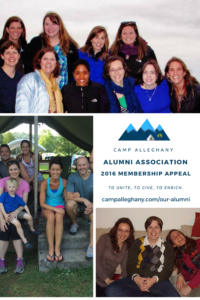 She invites you to make that even stronger by joining the Camp Alleghany Alumni Association today. 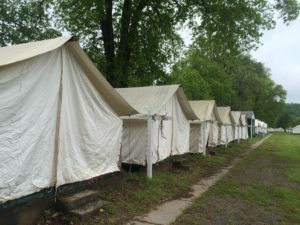 The third of a three-part series on American Camp Association Accreditation and Camp Alleghany, this time on rules governing river use. 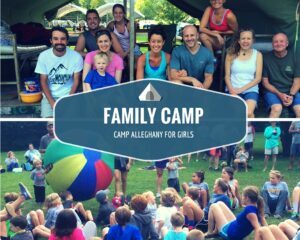 Family Camp is a treasured part of the Camp Alleghany experience. It’s also a program that we’re happy to see meet the high standards set for camp as a whole! 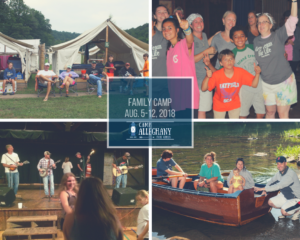 Camp Alleghany Family Camp provides a respite and renewal for adults and children alike. It’s a re-connection point for alum, and a re-charging place for all! 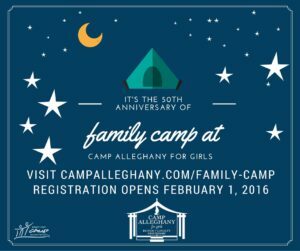 Join us for the 50th anniversary this year, Summer 2016! 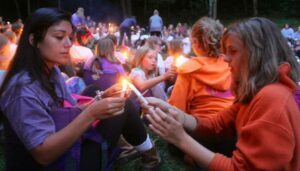 In the frenzy to put kids in multiple summer activities, the meaningfulness of a quiet, engaging summer is lost. 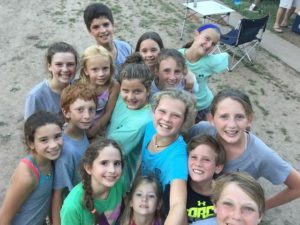 Trying sending your camper for 3 weeks instead.